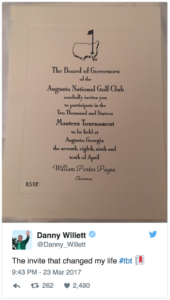 (CNN) – He claimed one of the most coveted honors in golf, but winning the Masters led to a year of anguish for Danny Willett. The Englishman took advantage of Jordan Spieth’s collapse over the final holes last April to secure his first major title and earn a place in one of sport’s most elite winners’ clubs. He slipped on the fabled green jacket, and pocketed the $1.8 million first prize, but achieving his lifelong dream at only his second attempt had its downsides. Willett required some serious soul-searching as he struggled to live up to his new benchmark — he hasn’t won a tournament since that life-changing moment. Then 28, Willett was the first Briton to win at Augusta since Nick Faldo bagged the last of his three titles in 1996, and the first European victor since Spaniard Jose Maria Olazabal’s second success in 1999. 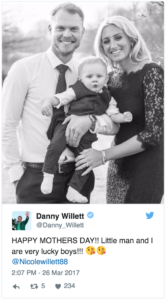 The Sheffield golfer wasn’t even supposed to be playing in the tournament — his wife’s due date for their first child was on the final Sunday. Willett had vowed to pull out if the baby hadn’t arrived before the start of the Masters, but when his son was born seven days before the first round he jumped on the plane. What followed was something of a fairytale as Willett held firm in the face of the storm that was enveloping defending champion Spieth on an intense final day. Realizing he had taken the lead after the American’s quadruple bogey on the short 12th, Willett used the calm of a players’ toilet behind the 16th tee to steel himself for the final three holes and he returned a 67 to beat Spieth and fellow Englishman Lee Westwood by three shots. While family life was taking off, Willett’s game went into something of a downward spiral and he finished no better than tied 37th in the rest of the year’s three majors. The Ryder Cup didn’t help his mindset after he lost all three of his matches and had to deal with the fallout from a derogatory column about American golf fans written by his brother Peter. The Masters win gave him “unrealistic” expectations, he says. “In terms of golfing heights it’s the pinnacle, and I achieved that day what you dream of achieving,” adds Willett, the third of four brothers from a mother who was a teacher and father who was a vicar. “Unfortunately your mind and body think you can do that every single day. If you compare every week to that week you’re going to be unhappy. I was working very hard but I was incredibly tough on myself if things weren’t going perfect in practice. Why? 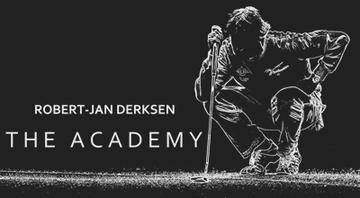 You’ve just done this (win the Masters). A year on from his major breakthrough, Willett has worked his way through his demons, been forced to recalibrate his aspirations and had a handful of decent results. Returning to Augusta is going to be “incredible,” he told Living Golf host Shane O’Donoghue ahead of the April 6-9 event. “I’ve never been as excited about going back to a golf tournament,” Willett says. Willett will be “sad” to return the famous jacket — the winner gets to take it home for a year — but says it is a “great honor” to be able to go back to Augusta National at any time, slip it on in the Champions Locker Room and enjoy the club’s hospitality. One of his major tasks as titleholder will be to host the Champions Dinner for the elite group of past winners in the Augusta National clubhouse on Tuesday. Tradition dictates the host chooses the menu, often based on dishes from his homeland. Scotland’s Sandy Lyle famously served haggis the year after his 1988 win, while Faldo once chose fish and chips and Tiger Woods opted for cheeseburgers, fries and milkshakes following his breakthrough win in 1997. In keeping with Masters lore, Willett will not reveal the specifics until he gets to Augusta. It could be a bit different to what the guys are ordinarily used to,” says Willett, who hails from the northern county of Yorkshire, renowned for its roast dinners and batter puddings. Willett is also looking forward to having his son Zachariah and wife Nicole with him this time, particularly at Wednesday’s family-friendly par-3 contest on the eve of the tournament. He’s come a long way from the day in 2015 when he broke off a sweaty gym session in his garage to intercept the postman with his first Masters invite on magnolia card with green writing and trim. Now, he’s even on Augusta National’s Christmas card list. © 2019 | Website by Jump 2 IT Media Ltd.